The Passover story is taught to every young child. How great is it that the “youngest child” is given a special place in the Seder and given the important task of asking the four questions. How many parents and grandparents beam with pride when they hear the “four questions” being recited by the youngest. Another question that we need to ask ourselves at this time of year is: “what can WE do to help make the world a better place with less oppression for the oppressed?” How can we help to ensure that every person can get to that place in his/her home country, city, and table and say: “How nice that we are together.” What can we do for people who are not just the politically oppressed but also have the oppression of hunger, fear, sickness and loneliness. It is happening in our own community and all around us. We all sit down at the table, start telling the story by reading Hagada, asking the four questions, drinking wine and telling the exodus story. What can we do to think about others fi rst? How can we truly think about helping others and working towards healing the world and our community? So often we become consumed about self and not others. The “leader” of the Seder always hears: “when can we eat and how much longer.” The leader feels confl icted because sitting in the “big” chair is not so easy. How lucky we are that most of us can really look forward to sitting around the table with our families, drinking our wine, eating matzo, charoset, chicken soup and matzo balls, gefi lte fi sh, horseradish, brisket, potato kugel, and of course, hunting for the afi komen. How lucky are we that our families are all sitting together and we are hopefully in unity. Yes, families disagree and families even fi ght, but we always have to remember WE ARE A FAMILY. When I looked up the work Yachad, I found out the word Yachad is from the word Yachid which means absolute unity. This word has a higher meaning than just peace and harmony. Doing more research, I found that the Book of Zohar writes about the paramount importance of unity above hatred. “Behold, how good, and how pleasant it is for brothers to also sit together.” These are the friends that sit together and are not separated from each other without hate or anger. Sitting together in absolute unity is to have our family strong and working together to make us all better. When the family works together to help an individual of the family, the family grows stronger. When our community works together to help people or community agencies get stronger, the community as a whole gets stronger. We are only as strong as our weakest link. This fi rst appeared in Thomas Reid’s “Essays on the Intellectual Powers of Man,” published in 1786; the full idiom “a chain is no stronger than its weakest link.” We are only strong together as a community and we must help strengthen everyone in the community. As a community, we can move forward facing all challenges that come our way. FIRST: work very hard to bring your family together. The family you love and the family that you are not so happy with at the moment. Accommodate as many as you can, and extend the table however you can. Only you see the chairs, dishes, and silverware do not all match and no one really cares about the food, they care about being together. DO NOT have Matzo ball anxiety! 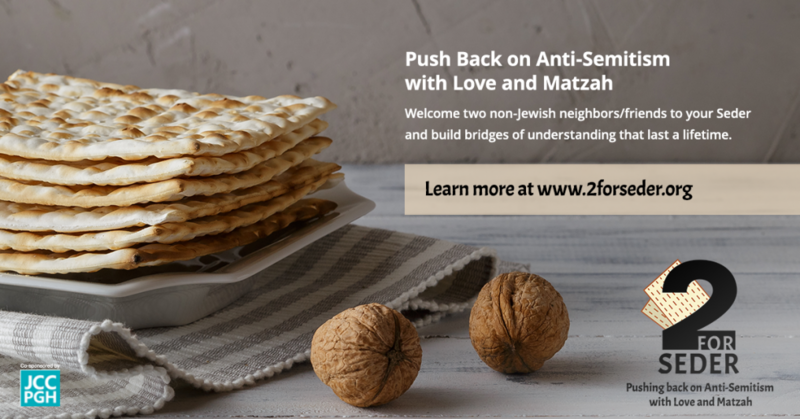 SECOND: reach out to someone who may not have a family to share this Passover holiday with and make them feel welcome. Work on building your family. THIRD: talk about what Passover means for everyone and certainly not to create a problem, maybe you abandon the Maxwell House Haggada. There are some great and interesting Haggadas online that can be printed out. BUT ALSO think about your own redemption story and share it with others. FOURTH: close your eyes for just a moment and think about how lucky we are to live without fear and oppression. FIFTH: think about what you can do as a family and as an individual to help our extended Jewish family of Greater New Haven. 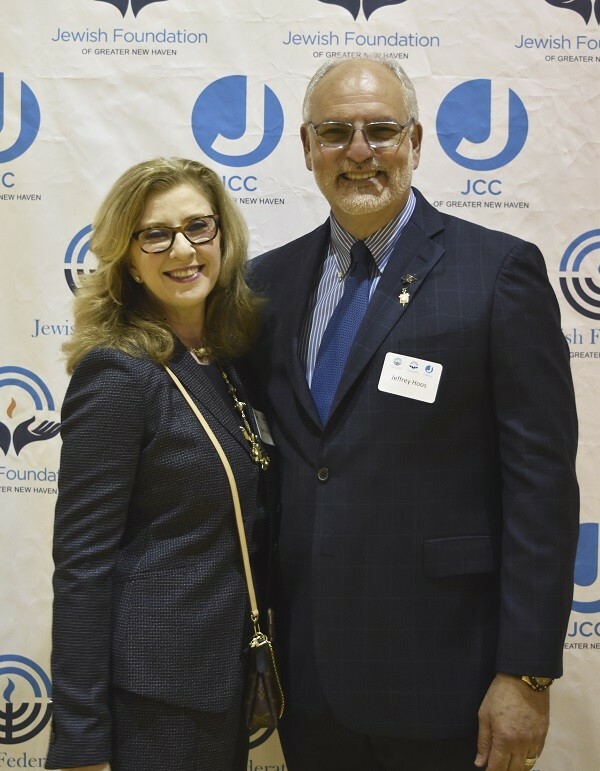 How can we get involved in making a better place for all of our Jewish community and reduce the devision or fractionalization in our Jewish family and beyond our immediate family? The Passover story is an amazing story about breaking the bonds of slavery. It is the story of deliverance from oppression. How did Moses and Aaron convince a group of diversifi ed people, with unleavened bread, with little more than a promise of freedom, to run for their lives? I am hoping that we can come together every year in a better place than last year. We live in an amazing time and we live in an amazing community. Yes, we have different points of view and different goals. But I know that if we come to together as a family and in unity, we will continue to build our community into an even better place for everyone. All of our community.